Financing a Volkswagen car has never been easier than when you work with our finance team at Northtown Volkswagen. From securing an auto loan or a car lease, our knowledgeable team works hard to give you a variety of options that suit your budget. We work with a variety of financial providers to negotiate low and fair prices on our Volkswagen compact cars, sedans, crossovers, and SUVs. Are you ready to work with our finance team? Fill out our online finance application or visit our finance center near Buffalo, NY to get started! 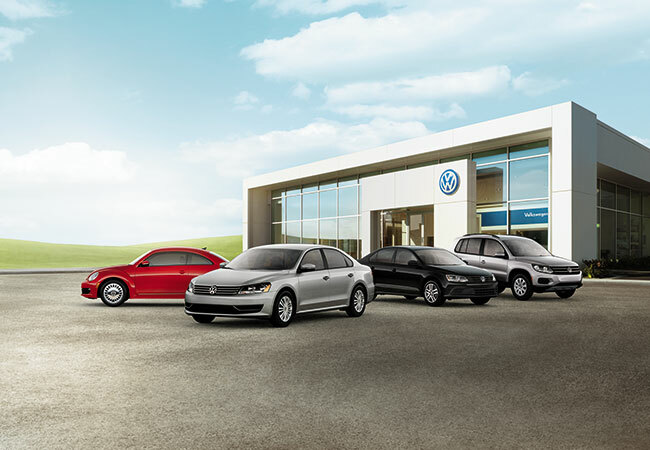 There's a Volkswagen vehicle for every lifestyle and we have a wide variety at Northtown Volkswagen for each one. For city driving, check out the sleek Volkswagen Jetta sedan. For adventures outside of Buffalo, NY involving different types of terrain, test drive a stylish Volkswagen Tiguan or a family-friendly Volkswagen Atlas. For extra cargo space, explore the modern Volkswagen Golf hatchback. No matter the trip you're taking, Northtown Volkswagen has the perfect fit for you. To set up a test drive and talk more in-depth about financing options, call or visit our Buffalo, NY area Volkswagen dealership. Our team at Northtown Volkswagen can get you an auto loan or lease that fits your budget. We strive to provide helpful financing options, such as trade-in options and current Volkswagen financing specials, to help you secure the car that matches your lifestyle. Stop by our dealership near Buffalo, NY to get started with one of our seasoned financial experts today!